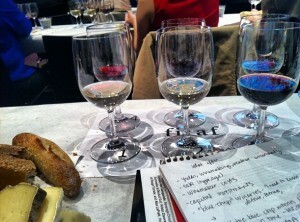 Tasting six wines to compare ages & Old vs. New World. I agree 100% with this quote from a panelist at a recent seminar I attended. However, interestingly enough, in a session described as “starting your wine collection,” many of the panelists didn’t consider themselves wine collectors at all; but rather, just people who love wine and need a place to store it until they drink it. Most seemed to view wine collections more as an accessible and pleasurable assembly than as a formulaic and formal dusty collection. The panel, hosted by FIAF in its midtown Le Skyroom, was led by Hristo Zisovski, Beverage Director at Ai Fiori. Hristo was joined by Charles Antin, Associate Vice President & Wine Specialist at Christie’s, Michael Chaney, CEO of MEA Digital & Private Wine Collector, and Emmanuel Dupuy d’Angeac, Owner & Founder, AOC Fine Wines. 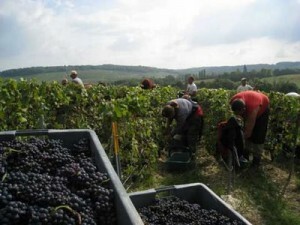 Pinot Meunier: Champagne’s Afterthought or Secret Weapon? A few weeks ago, at a winemaker dinner as part of the Capital Wine Festival, Argyle winemaker Rollin Soles was discussing his delightful Brut Rosé from Oregon with a small group of wine lovers including my wife and me. As the mustachioed Soles explained in his native Texas drawl, he was never quite pleased with his Rosé – that is, until his assistants convinced him that something was missing. The secret weapon, it turns out, was Pinot Meunier (“moon-yay,” as Soles charmingly pronounces it), added to the blend beginning with Argyle’s 2006 vintage. Soles was mistaken, as we’ll see below, but he can’t be faulted for his belief, as it has been the dominant narrative in Champagne and beyond for a very long time. But things are changing quickly. If I asked you to name the largest wine growing region in Spain, what would you guess? Rioja? Ribera del Duero? Navarra? Up until a week or so ago, I wouldn’t have had a clue. Who would have guessed it’s La Mancha? With 445,000 acres (695 square miles) under vine, it is not just the largest wine region in Spain — it’s the largest in the world. I don’t spend much time drinking wine from Spain, so I jumped at the opportunity to learn more about the region and its wines through a small tasting. First some background on La Mancha. Despite being such a large region, I was surprised at how few grape varietals are commonly grown there. Tempranillo, Garnacha, Cabernet, Moravia, Merlot and Syrah constitute the major red varietals while Airen, Macabeo, Sauvignon Blanc and Chardonnay make up the white wines. 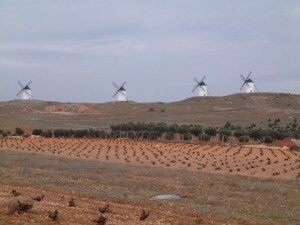 La Mancha has hot summers with little rain (only 12-16 inches per year) and lots of sun, creating wines with expressive fruit and medium-to-high density. La Mancha is no exception. They seem to be trying to tear down the preconceived notion that they aren’t a serious wine region but in fact can compete with more respected, highly coveted wines of Priorat, Rioja and Ribera del Duero. Uploaded to flickr by -Jérôme-. Valentine’s Day was two weeks ago. Did you open a bottle of sparking rosé with your sweetheart, per the clichéd guidance spouted by seemingly every publication in the country (and beyond)? Even respected wine writers can’t resist the urge to advise consumers to go pink in February. It’s great if you took their advice for the holiday — as long as you didn’t pair it with chocolate (haven’t we been over this before?). But I’m here to tell you, sparkling rosé – especially Champagne – is a serious wine for any occasion, and it deserves a place in your cellar and on your table more often than you may think. I recently tried a relatively new rosé Champagne, made in a non-traditional style, and it blew my mind. More on that below, but first, some background. Rosé Champagne is not cheap; it will cost you around $40 to get in the game, around $80 to play for real, and into the hundreds to roll with the best vintage têtes de cuvée. The reason for the higher tariff is that it is labor intensive, and therefore scarce (ok, and also maybe the market-driven notion that pink bubbly is reserved for special occasions). 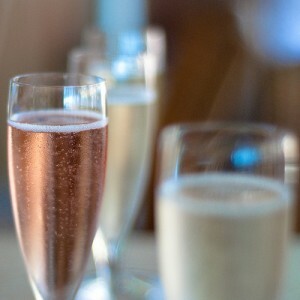 On average, rosé makes up only 8-10 percent of a given Champagne house’s production. Even at Billecart-Salmon, most famous for its fabulous rosé, less than a third of its 2 million bottles per year are pink.